A growing family in Clapton needed to reshape their long-term home and wanted the design to reflect their passion for the decorative arts; their existing house was already adorned with bold patterns, bright colours and vintage finds. An early conversation with the client revealed a love of faience and their collection of historic glazed tiles. Combining their vibrant aesthetic with the Edwardian architecture of the existing building, led to a distinctive refurbishment that reflects the personality of the occupants. The quirk of Clapton terrace houses is the significant level change from the front of the house to the back, and a wide passage alongside the closet wing. 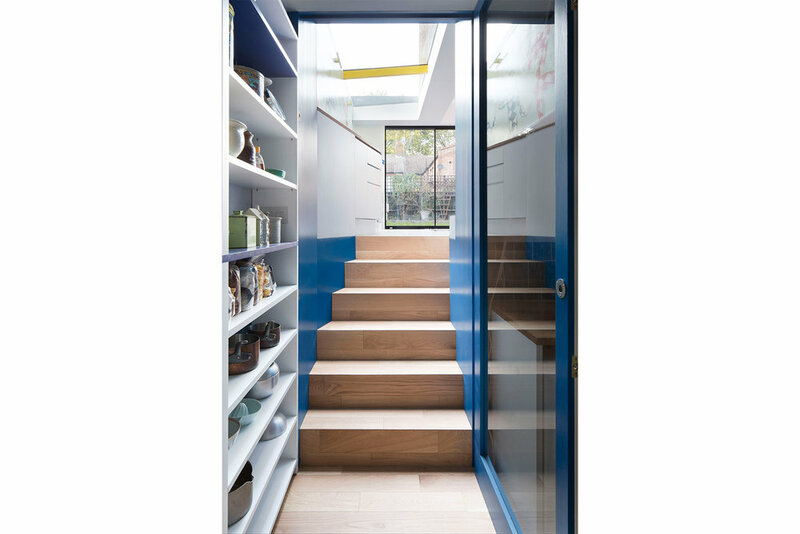 The narrow kitchen could extend sideways into the passageway, but with the 1.5metre drop from the house to the kitchen it was essential to create vistas and connections between the floors and to the garden. Excavation of the existing basement provides a new bedroom and ensuite to the front, and a utility to the rear connecting directly to the kitchen. 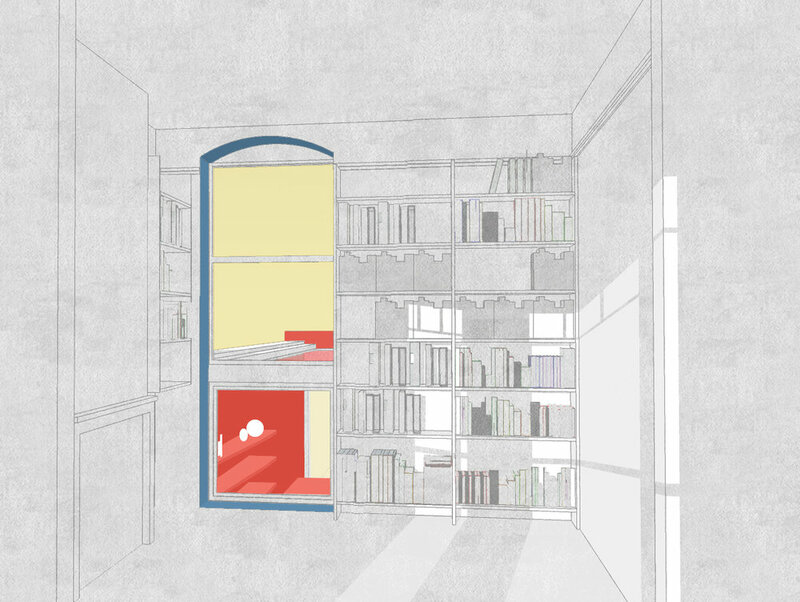 An internal window links the kitchen to the library above. The kitchen pivots between basement and raised ground floor, with large glazed openings and vibrant colours that draw the eye through. A mural artist was commissioned to adorn the splashback, transforming the functional into the decorative. It was essential that the exterior should reflect the ornate and playful nature of the interior. A lightweight sloping glass roof and aluminium framed sliding doors open onto the garden, beneath a faceted bespoke glazed tile facade, reminiscent of Victorian faience. Facets in the elevation frame the kitchen and reflect the surroundings. The upper floors were refurbished with new bathrooms that also celebrate tiles. An oversized window was inserted over the stair at 2nd floor.